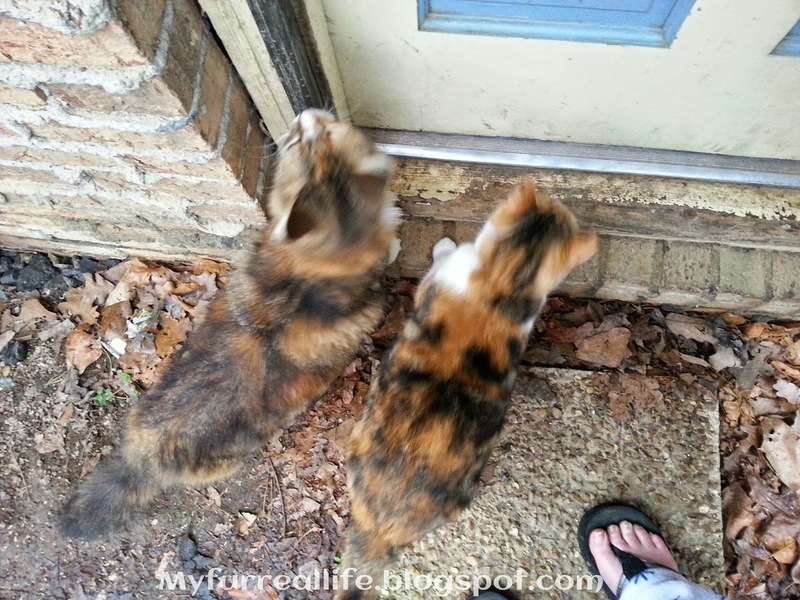 When I let Rio out yesterday morning, Peaches and Cameo bolted out the door too. It's been nice, spring weather the last few days but they didn't see the weather report before heading outside: wet, rainy and cold. They stayed outside while I took McKayla to school and stopped at a few stores. 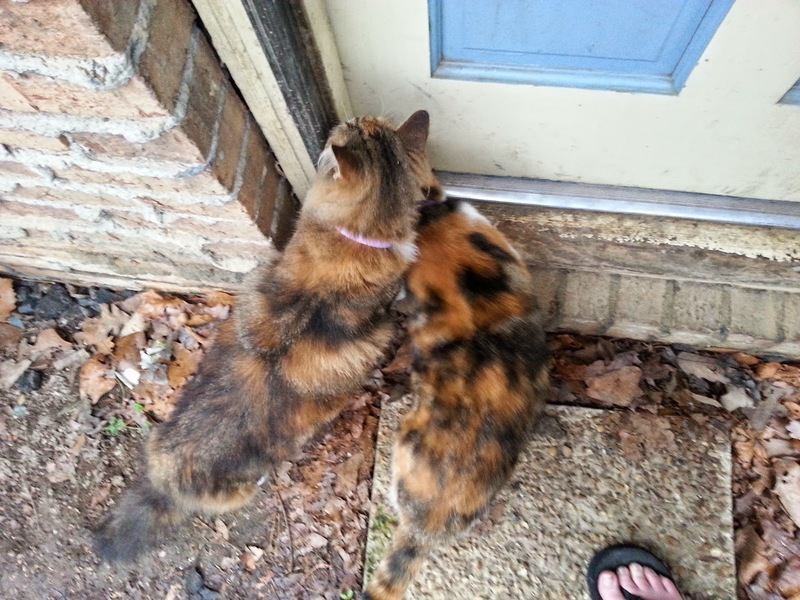 When I arrived home, they both greeted me at the car and followed me right to the back door, meowing the entire time. Thanks! I like their funky coloring too. 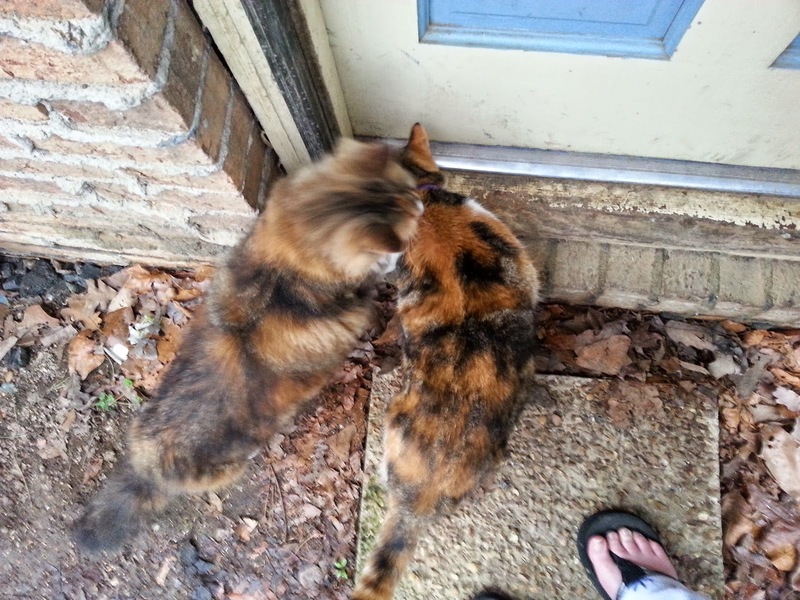 :-) Cameo is the calico and I say that Peaches (long hair) is a Tortoiseshell but I could be wrong. My understanding is that a calicos spots are more defined while tortoiseshells have torn patches. Yeah that's what I was thinking too. Calico all the colors are completely separate, but with torties the black seems to be mingled all throughout. :) We must be correct since we agree hehe.